It looks as though the modern farmhouse trend is going to stick around until the cows come home. 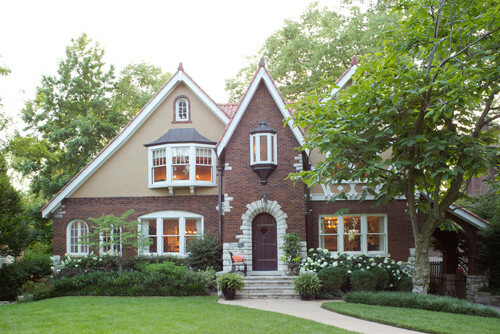 But the architectural styles currently trending on Houzz also cover a wide spectrum. What they have in common are pleasing proportions, a thoughtful use of materials, and something special that makes them feel like home. 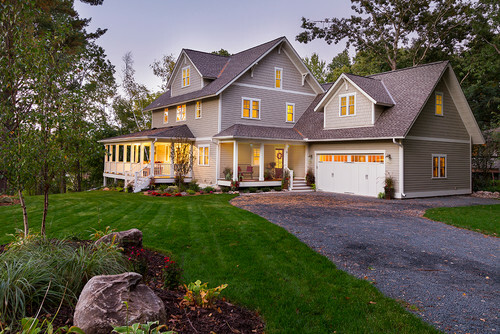 Here are the most popular exterior photos uploaded to Houzz from January to March of this year, as measured by the number of people who have saved them to their Houzz ideabooks. This is the most popular exterior photo of the year so far. And it wasn’t even a part of a featured story that would have given it a boost. Houzzers are still wild about modern farmhouse style. Design elements like porches, gooseneck barn lights, metal roofs and barn doors have been reassembled into a new look that nods to American nostalgia. Details like graphic dark window trim contrasting with white siding update the look. The stone and the X-shaped fence are also borrowed from rural landscapes. 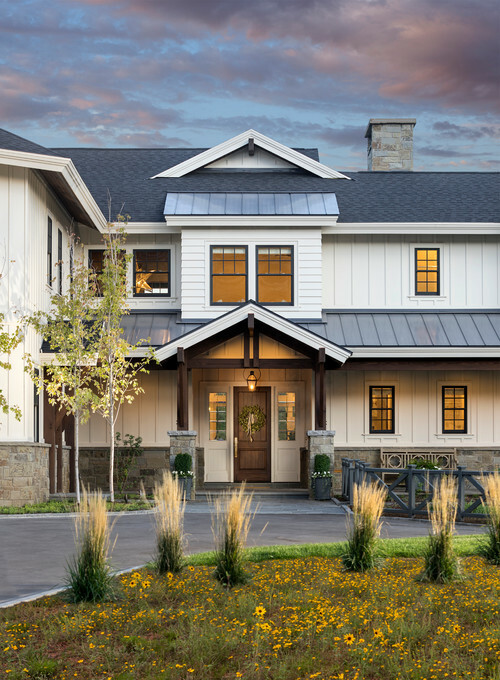 Board-and-batten siding is another popular element that lends farmhouse style to more modern homes. More traditional farmhouse style is giving the new take a run for its money. 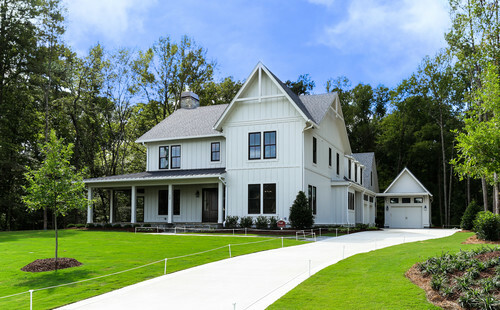 While this home is a new build, it is closer to the classic antique farmhouse look. Transparency is a big buzzword right now, and it applies to houses too. 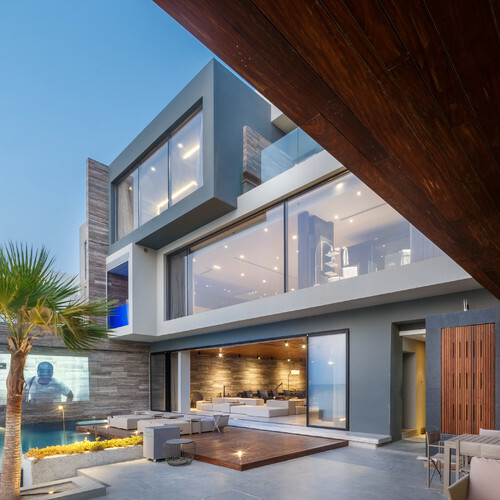 Allowing for big views and opening wide to the outdoors facilitate the indoor-outdoor lifestyle for this house in Newport Beach, California. One thing to consider when using large windows and glass doors like this is direct sunlight. Note how the balcony and the deep recess upstairs keep direct sunlight out of the house. This indoor lounge has an opening that makes the transition to the outdoor lounge seamless. 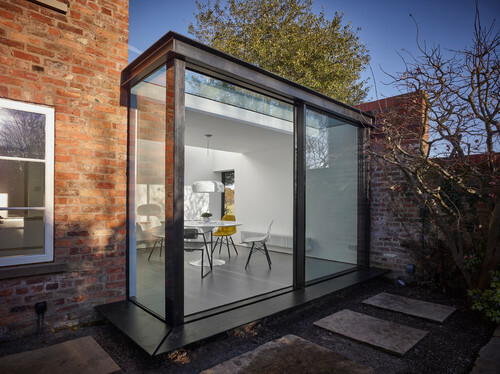 A modern glass box replaced a traditional conservatory on this English cottage, where a new minimalist dining room overlooks the garden. I’ve written a few stories about Tudor-style homes lately that garnered more conversation and likes than just about the rest of my stories combined. So it comes as no surprise that interior designer Laura Lee’s home is trending right now. But what is it about Tudor style that we love so much? For me, Tudor style brings up something that has nothing to do with trends: nostalgia. My grandparents owned a Tudor-style home built about 1900 in Connecticut, and I just loved all the nooks and crannies, the fabulous carved newel posts, the coffered ceilings, the sleeping porch. I even have the leaded-glass doors from their den’s shelves in my home today. It makes me wonder how large a role nostalgia played in the popularity poll here. Savvy Houzzers know that contemporary doesn’t imply stark. The wood siding and the way this house nestles into the sloped hillside create a harmonious relationship between house and landscape. Large windows reflect the trees, and from this angle, the roofline looks like a series of pavilions. It was enlightening fun to see the wide range of styles that made the favorites list. 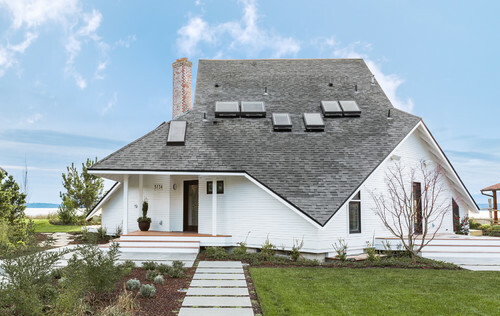 Now we know that Houzzers like traditional, and they like a modern take on a farmhouse, a classic farmhouse, Tudor style, modern and contemporary. But Houzzers also like the unclassifiable. I don’t know how to label this house, with its contemporary angles and nods to more traditional styles. It doesn’t represent a trend; it represents being unique. Putting this list together showed that we are all individuals with our own tastes and that our style is about choosing what speaks to us, sparks a memory, and makes us feel comfortable and happy. That’s what home is.